Belmeken damis a beautiful placethat you must visit when you are in the area of Bansko. Belmeken is a dam located at1923 meters above the sea level, along the Sestrimska River in the Rila Mountain, and is part of the„Belmeken-Sestrimo-Chaira“cascade. 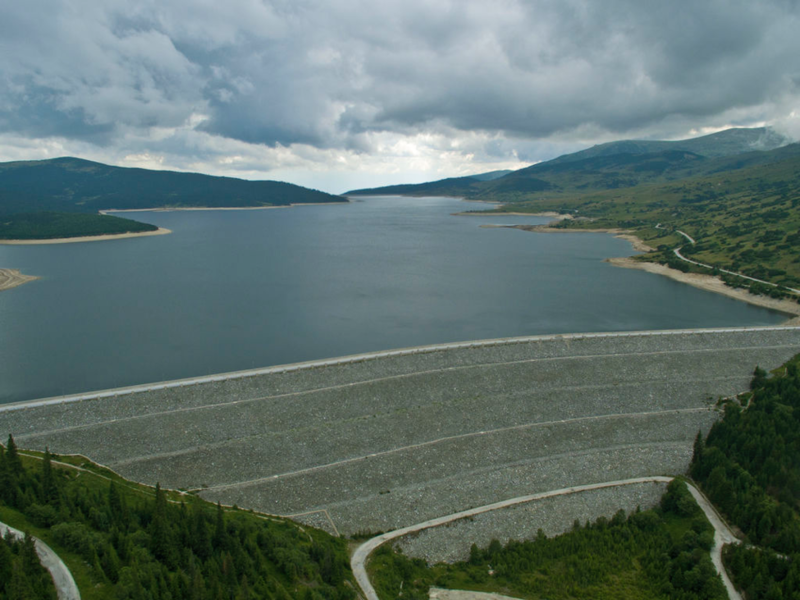 Belmeken is the highest dam with bulk dam wall on the Balkan Peninsula. Belmeken fascinates with its beauty both in summer and in winter season. It is named after Mount Belmeken. The name of the dam means „Known place“. 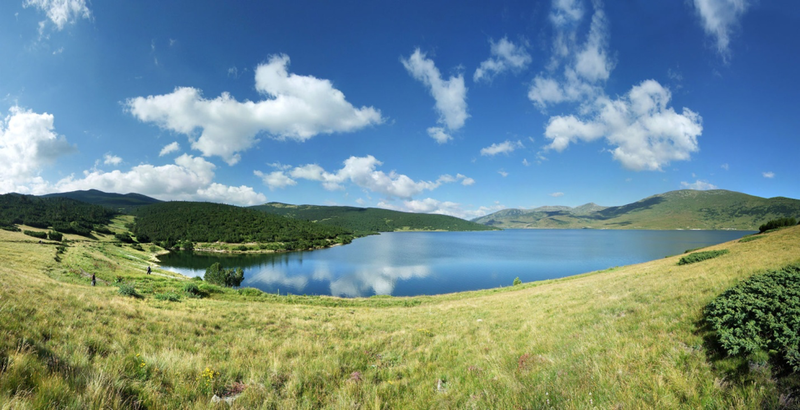 In fact, it is a mountainous artificial lake with the highest altitude in Eastern Rila Mountain. It is built onKriva River.The Sestrimo village is a starting point both for the dam and for the Yundola area. The road leading to it is maintained in good condition. You can get to the dam just for awalk, as well as you can fish there. If you are planning a trip to there, don’t forget to equip with warm clothes, because the temperatures are low even in the summer season. The facilities of the„Belmeken-Sestrimo“ cascade are located on the northeastern slopes of the Rila Mountain, as they collect the waters of the river valleys of the Maritsa, Mesta and Struma Rivers. The cascade of the dam includes two zones of collecting derivations: one at elevation 1900 meters and the other at elevation 1200 meters. The waters coming from the upper zone flow into „Belmeken“ dam and these coming from the lower zone flow into the daily equalizer „Stankovi baraki“. The water collecting channel„Granchar“includes the waters of theBlagoevgradska Bistritsa River and of Rilska River with its tributary Iliyna. The Blagoevgradska Bistritsa River springs from the slope between Big and Small Mechi peak in Rila Mountain at 2600 meters above the sea level. North of the valley of Blagoevgradska Bistritsa River is located the valley of Rilska River and its tributary Iliyna. How to get to Belmeken? The route to there is really alpine, as it is relatively challenging. You have to prepare in advance. The forest air has incredible smell. 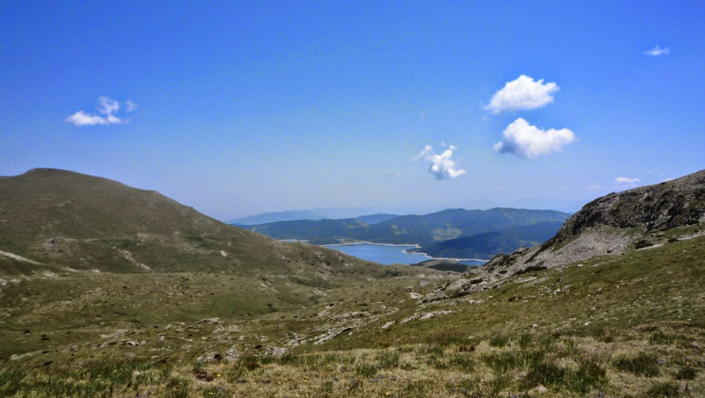 The Sestrimo village is situated in an area with incredible beauty, which is something absolutely normal for Rila Mountain. The road leading to the dam passes by the village. So from there you can start to climb. There the road becomes narrower. In the beginning, two cars can pass by each other, but with each kilometer the road becomes more and more narrow. On the road you can meat travelers with motorcycles. Although there is no intensive traffic on the road, it may be difficult to go on if you meet another car. There are some curves on the road, but its visibility is impaired by the pines that areabout 20-30 meters high and the driving there is a bit challenging. Then the road divides into two and the tourist guides recommend the drivers to take the left road because it is in better condition. The right road, in turn, offers picturesque views and leads to the wall of the dam, but is very difficult to pass as it has many holes on it. If you plan to go there, keep in mind that there are no cafes near the dam. So if you want to stay for a little bit longer, you can buy water and food from Yundola.You can also get water from thefountain located in the beginning of the downhill to Yundola. Iffrom thereyou follow the short asphalt road you will reach the sports base „Belmeken“ at 1924 meters above the sea level. Very often you can see athletes there who run in different directions for different purposes. 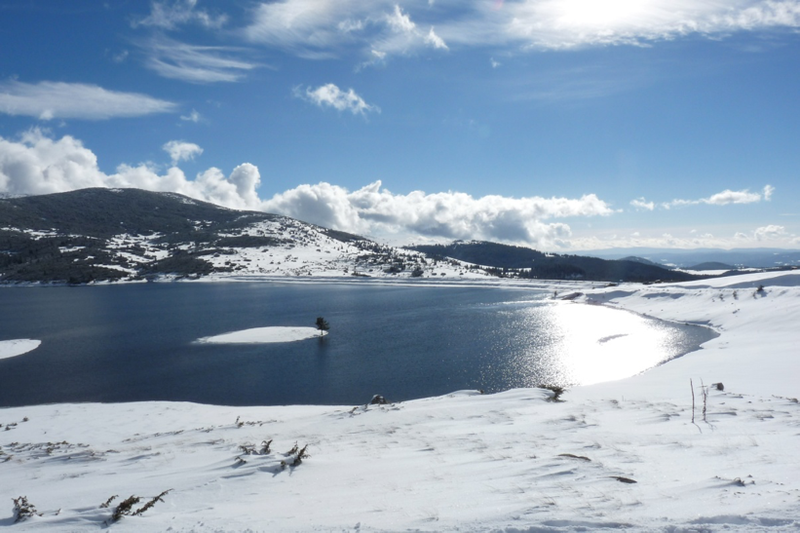 In the immediate vicinity you can’t see fortresses, monasteries, ancient villages, but there is one thing that you must see if you have enough time, so you can leave your bicycle or motorcycle at the dam’s guard and head up to Mount Belmeken, which rises at 2626 meters. The dam is also popular due to the fact that there is a sports base nearby. The route itself(in fact, three roads lead to there) is not that popular, although many cyclists and motorcyclists know it.With a little effort from local and central authority, this route may become a popular sight not only in Bulgaria, but also on the Balkan Peninsula, as this is possible if the authorities put effort in the maintenance of the asphalt road and in cleaning the ditches. Belmeken peak is relatively easy to climb. Only in the winter season, there is a danger in some sections of the route due to possible avalanche. The distance from Sofia to there is about 140 kilometers, which takes about 2 hours and a half. With its impressive1923meters above the sea level, Belmeken peak reveals wonderful mountainous views before our eyes. It is located at the entrance of the cirque, near the shore of the Ravnishko Lake. From there you must travel for about two hours and a half to Belmeken. It is a massive building with three floors, it has a capacity of 30 beds,which have common internal bathrooms and toilets. The hut has water supply, electricity from aggregate, as it is heated with solid fuel stoves. The hut has also a buffet and a canteen. The roads leading there have signs. The entrance points are Let.G.Dimitrov- 4.30hours also with road marking.